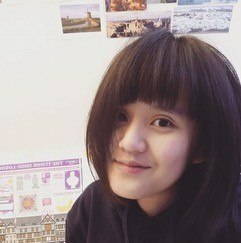 Meet Fifi Kuo – Bounce Sales & Marketing Ltd. 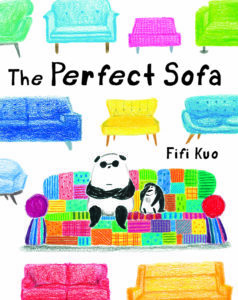 Award-winning author / illustrator Fifi Kuo is touring the UK this April! Fifi has won the Macmillan Prize (Bronze) and iJungle illustration award (Merit) and been shortlisted for the AOI World Illustration Awards 2018. Fifi Kuo reads her picture books and then encourages children to think about where they like to relax when they are at home. Fifi draws where she likes to sit and then helps children draw what they love best about the places they like to sit. New is not always best! Children can draw their own sofa and cushions or add them on to a bigger picture as if they were in a sofa shop or very big room! And they can place one of Fifi Kuo’s loveable characters on to the sofa, too! Large roll of plain paper (could be wallpaper), scissors (to be used with adult supervision) and child-friendly glue. Pens or coloured pencils for drawing. Fifi will bring a display board featuring Penguin and Panda.